"My mom made this cake while living in the Depression. It is so good, I hope this fills your needs and your memories." 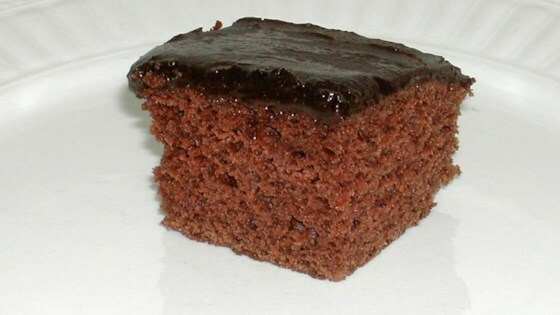 Discover what a touch of mayo can do for chocolate cake. we could taste the Mayo. It was very soft and moist though. Maybe a different brand of mayo would have tasted better, but I'm not going to try it again. I added about a tablespoon extra of cocoa powder and just a dash of cinnamon and topped with the Fluffy Peanut Butter Frosting recipe...one of the best chocolate cakes I've ever had!